“Painted Bodies: African Body Painting, Tattoos, and Scarification” is a stunning book that features extraordinary photographs of enduring cultures. This is Beckwith and Fisher’s fifteenth book of ceremonies and body painting of the African people. “One of the most beautiful books I have ever seen,” writes author Alex Shoumatoff. 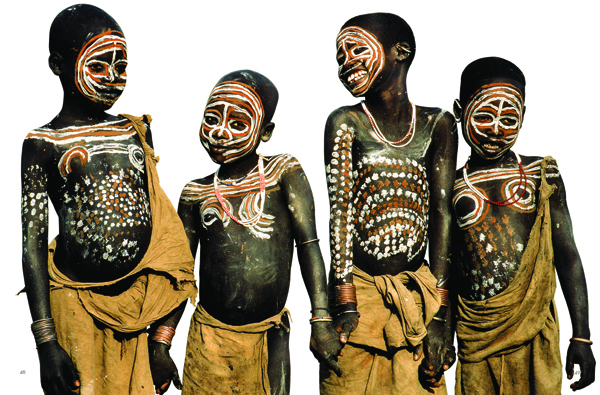 Angela Fisher and Carol Beckwith’s extraordinary photographic expeditions take them to photograph and film ceremonies in remote parts of Africa. 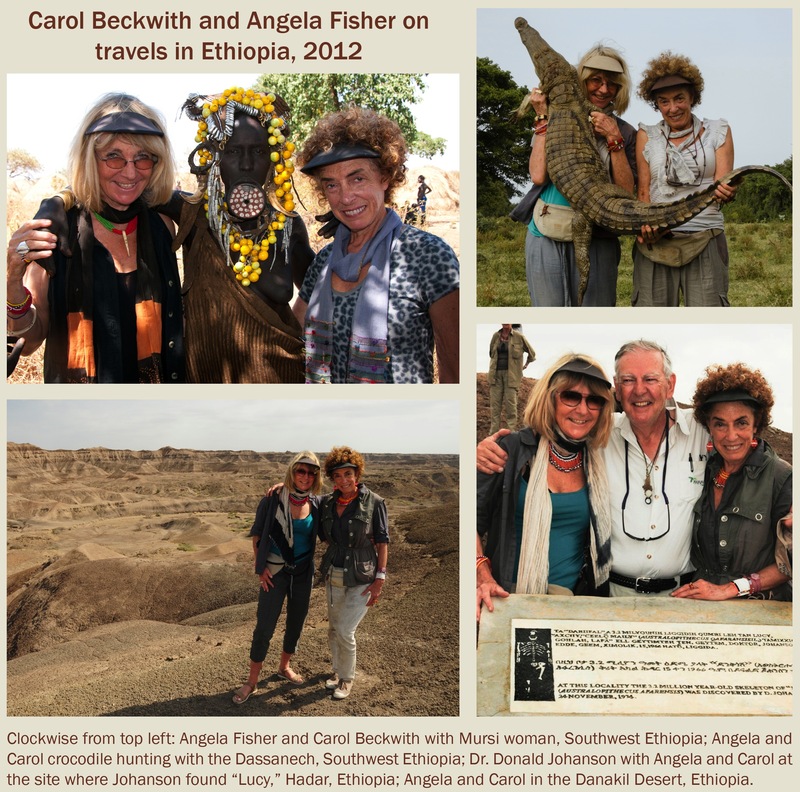 In June 2012, Carol and Angela journeyed by boat up Lake Turkana in Kenya to the Omo River Delta to visit the Dassanech, one of the most remote tribes in Ethiopia. They photographed the once–every–three–year Dimi Ceremony during which hundreds of men enter elderhood and their daughters are blessed for marriage and motherbood. A journey back in time, the Dassanech still perform this age–old ceremony wearing black ostrich feather headdresses, leopard skins and colobus monkey capes. By night, Angela and Carol followed the men in dugout canoes hunting crocodiles. In January 2012, with careful planning and connections, they visited remote places in Ethiopia, focusing on the peoples of the Omo River Valley. The year before they photographed the Royal Kuba Kingdom as guests of the Royal family in the Democratic Republic of Congo. This little visited Kingdom is renowned for its exquisite raffia textiles, traditional palace and magnificent costumes worn during rituals in the Royal Court. Angela and Carol met in Kenya thirty–five years ago. Their unique acclaimed images covering 150 African cultures were made on journeys of 270,000 miles throughout the African continent. As young female explorers, they saw Africa through the eyes of the people they lived with, photographing each group meticulously, from their body adornment to their ritual passages through life. 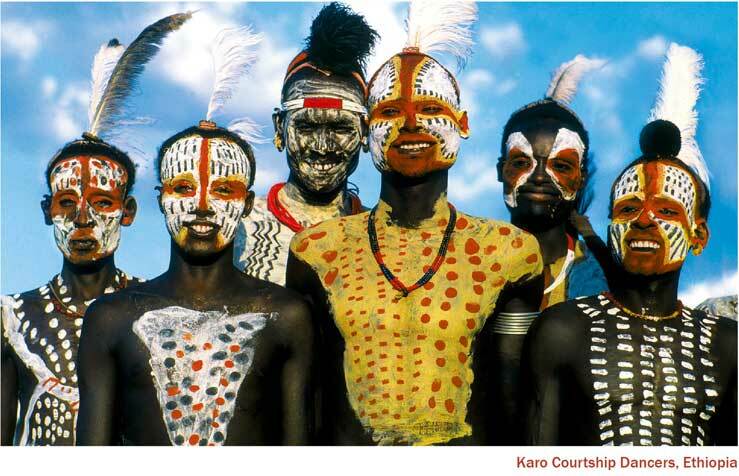 Each image tells a story of the lives of the men, women and children within the vibrant traditions of these cultures. Honored twice with the Annisfield–Wolf Book Award in race relations for “outstanding contributions to the understanding of cultural diversity and prejudice,” Angela and Carol are also winners of the Royal Geographical Society of London’s Cherry Kearton Medal for their contribution to the photographic recording of African ethnography and ritual. The photographers have made four films about traditional Africa, including Way of the Wodaabe (1986), The Painter and the Fighter, and two programs for the Millennium Series Tribal Wisdom and the Modern World. Numerous exhibitions of their photography and films have been shown in museums and galleries around the world. In 2000 their Passages exhibition opened at the Brooklyn Museum of Art featuring 97 mural photographs, six video films and a selection of African masks, sculpture and jewelry. This exhibition travelled to seven museums on three continents. 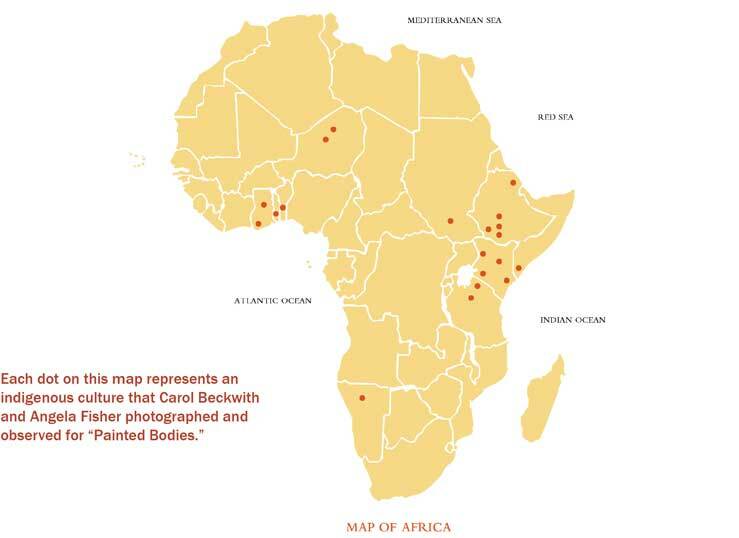 “Beckwith and Fisher have done more than anyone to awaken the world’s appreciation of everything African, from adornment to the rapidly vanishing ceremonies,” says Peter C. Keller PHD, President of the Bowers Museum, Santa Ana. Contact amanda@c4global.com for the original high-res images for publication.